I got this quote from reading Mohamed El-Erian's article in the Financial Times. Dr. El-Erian coined the phrase the "New Normal" for economic growth. While I agree with his conclusion, I don't entirely agree with his analysis for the "New Normal". In his FT article he talks about how are we are reverting back to same analytical framework that encouraged "short-termism" and got us into this mess. Investors have not yet accepted his [Mervyn King's] insight that the absolute levels of income, debt, wealth and unemployment, not just the rates of change, are what matters today. They need to, and soon. Funny, if you click the link the title of the story changes to something less dramatic. Wow, this is a huge problem. 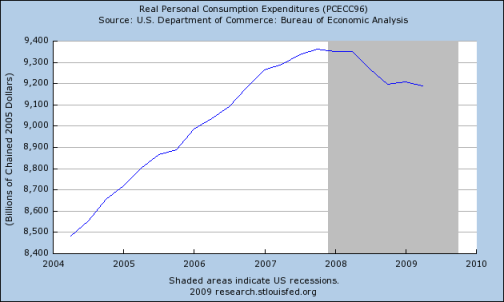 We have done nothing to change our economic growth model that relies heavily on consumption. If we maintain the status quo in terms of our economic growth model we have a very long long way back to "normal". The longer it takes for investors and the policy consensus to shift to the appropriate analytical framework - one that factors in levels rather than just rates of change - the greater the risk of disappointment in 2010. 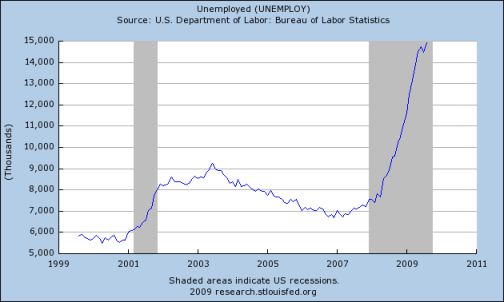 I would stress that if we don't change our framework and realize we are heading into a "New Normal" with incredibly high structural unemployment and unprepared to deal with that we are destined to far greater problems than a bear market. I'm so glad you picked up on this because that phrase just makes me want to cringe! 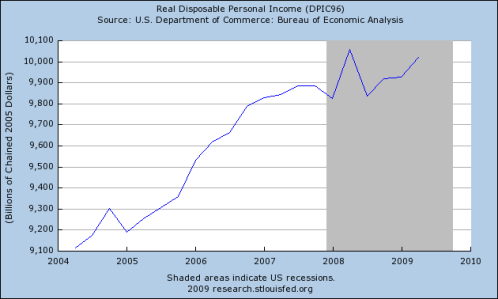 It's simply unacceptable and wiping out the U.S. middle class is just not "normal" period. I think many of us who either studied history or were alive from the 1950's (I ain't sayin' if I were or weren't!) know this is not the America from that time, not even the America from the 1970's in terms of income, social mobility, opportunity, the great U.S. middle class..
just makes my skin crawl with irritation and outrage. to address the significant problems uncovered by this financial crisis. In a comment in another story I laid it a rough outline of what should be done. In my opinion, the problem is that policy makers, at least the most important one - the President, still uses this faulty analytical framework and doesn't recognize the extent of the problem. RebelCapitalist.com - Financial Information for the Rest of Us. While I'm not the first to point this out, it should be repeated as often as possible: the difference between the Last Great Depression, and the Neverending Great Depression we are entering, is that the last time around, after the collapse of the banking system, there was pushback by the people, via Roosevelt and his administration, against the banksters (then called the "Money Trust"). 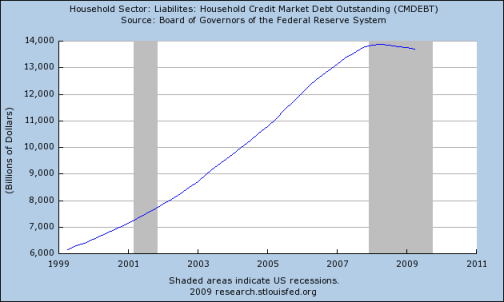 This time around, when the banking system collapsed in 2007, the banksters took over (as in the US gov't, Treasury, etc.) --- quite an important distinction! Ok, you're out in the desert, dying of thirst. You find a water spigot. It's dripping a drop of water every 20 minutes. You put your mouth under it, and try to increase the flow. You manage to get a drop of water every 10 minutes. Oh My God, that is a 100% increase in the rate of change! Double down! You die of thirst with a smile upon your face, knowing the rate of flow increased.